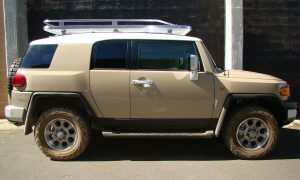 Hannibal Safari roof rack for Toyota Landcruiser 76 Series. Dimensions are 2.2m long x 1.38m wide. This product can be purchased with or without the top rail. Hannibal Roof Racks are TUFF enough to survive the HARSH STUFF!!! 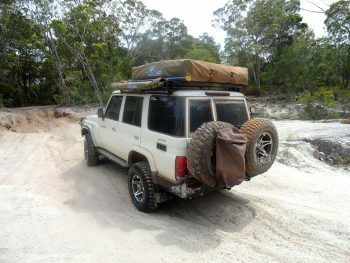 Reliability and weight are key factors when considering an ideal roof rack. 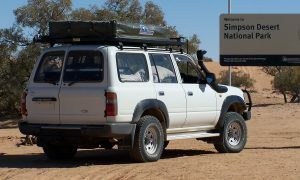 Hannibal roof racks have proven over the years to be of the strongest, lightest and most rugged safari proven roof racks in the world. The design of the Hannibal roof rack also incorporates good looks with aerodynamic performance for minimum wind noise and maximum fuel efficiency. 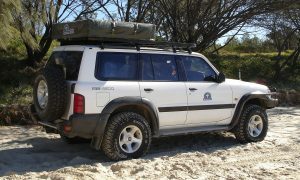 The Hannibal roof racks are designed to fit all makes of 4×4’s, those with gutters as well as the gutterless varieties. 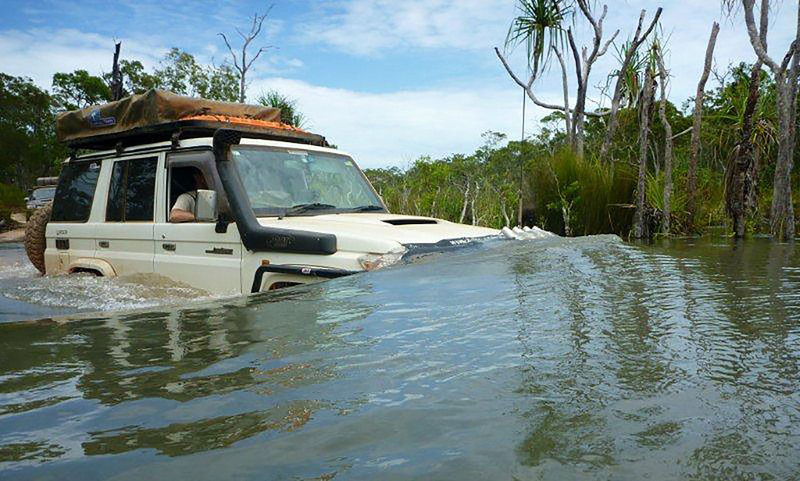 Slimline design for better fuel efficiency and less wind resistance. Uniquely engineered flooring to provide extreme strength and minimum flexibility. Front to rear floor slat layout to increase aerodynamics and minimize wind noise. Wide floor slats for easy loading, standing or to serve as a front porch for your Hannibal rooftop tent. Detachable rails for wider loads, side-mounting of tents or improved vertical clearance. High quality 6063 architectural aluminum designed for strength and corrosion resistance. Fully welded frame and tray for maximum strength and reliability. Stainless steel mounting clamps or brackets. Full length gutter support to spread load and prevent unnecessary wear and tear to gutters (gutter models). Hannibal racks are designed with a low profile to hug the roof line and to keep a low centre of gravity for a more stable off road and on road experience. Racks are supplied in Natural finish. Powder coating is available upon request. Lifetime Guarantee against manufacturing defects.